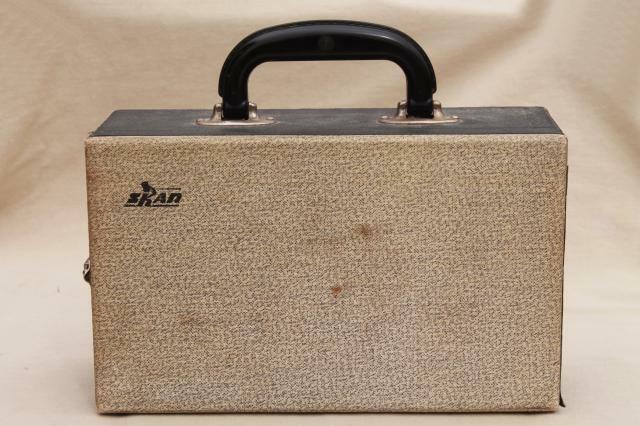 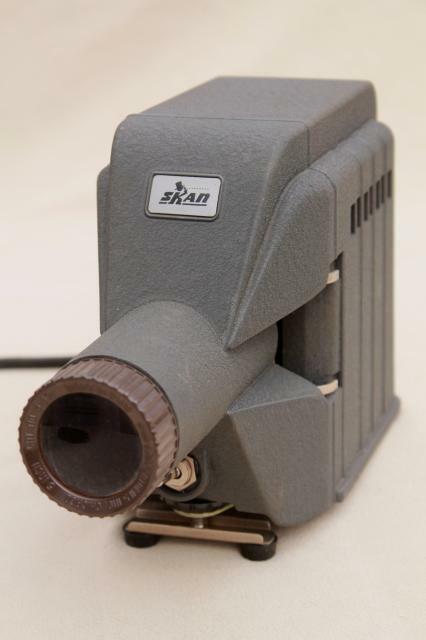 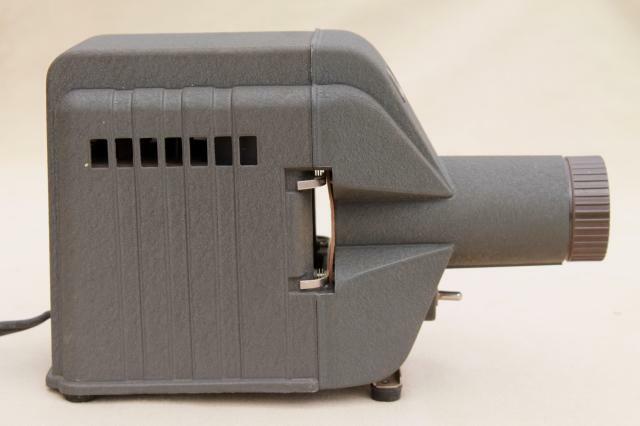 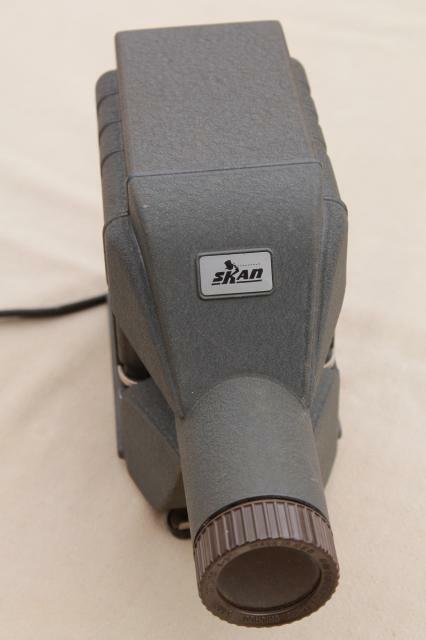 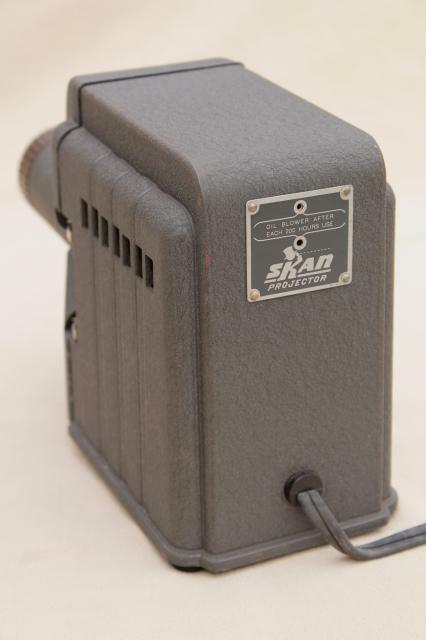 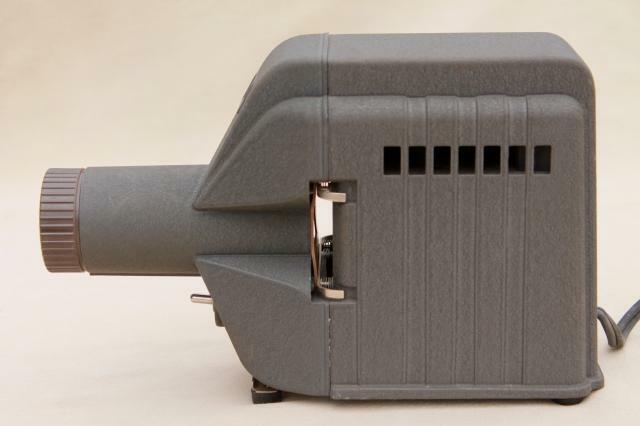 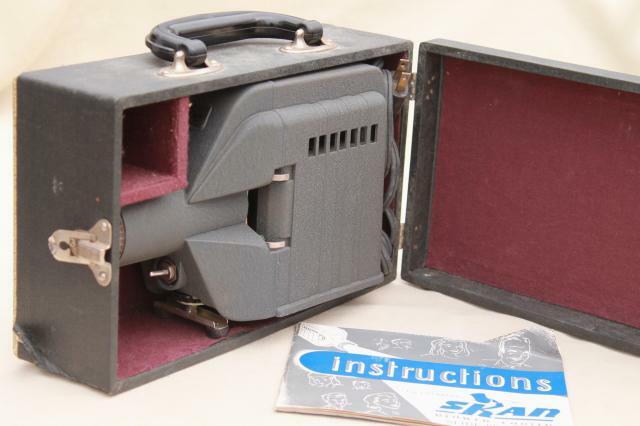 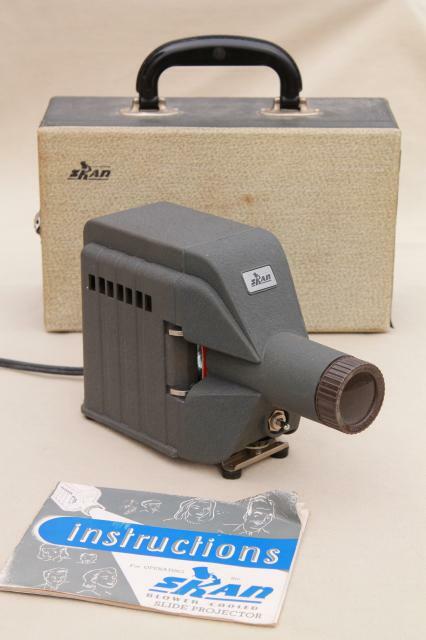 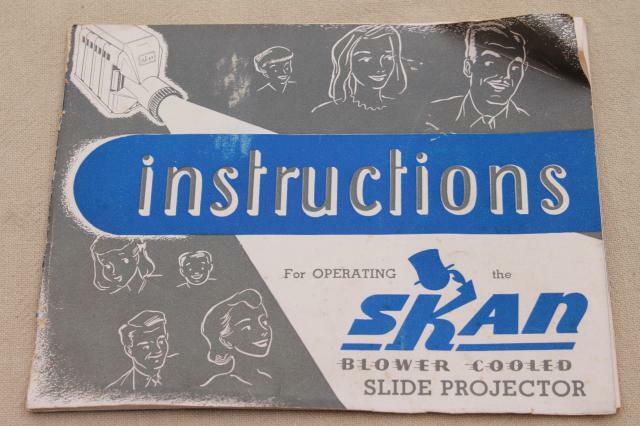 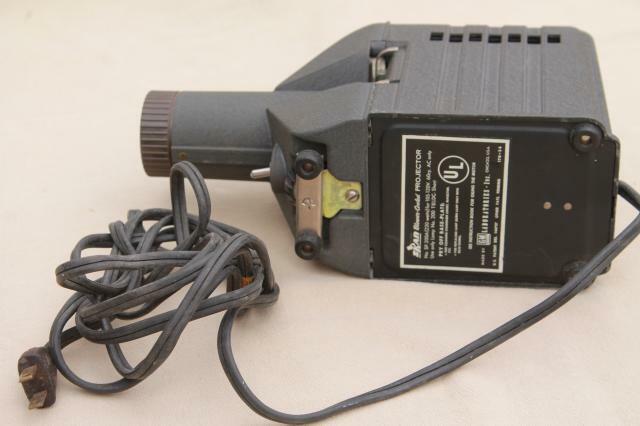 Mid century 35mm slide projector... Skan model SP-200A in good working condition with the original carrying case and instructions. 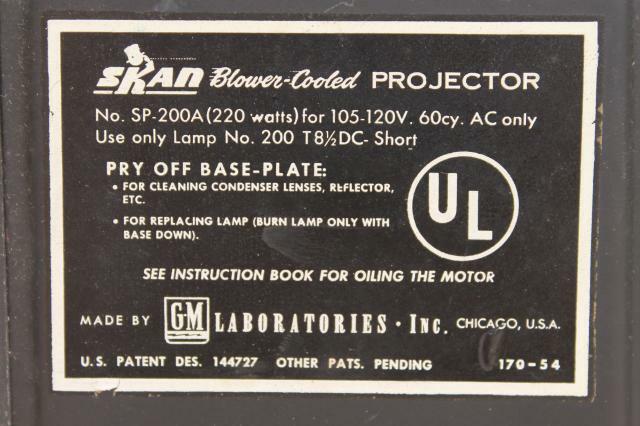 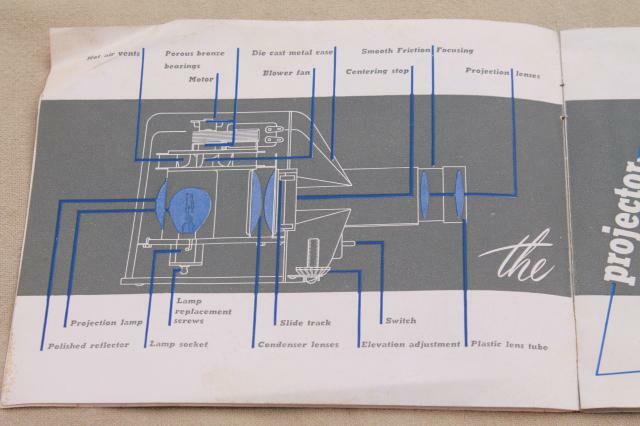 It's marked with US patent number DES 144727 and the instructions are dated 54. 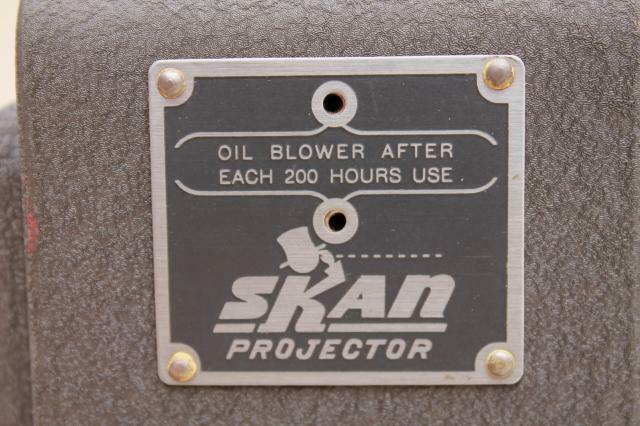 It measures about 9 1/2" x 6" over the projector and 11" x 7" x 4" over the case. 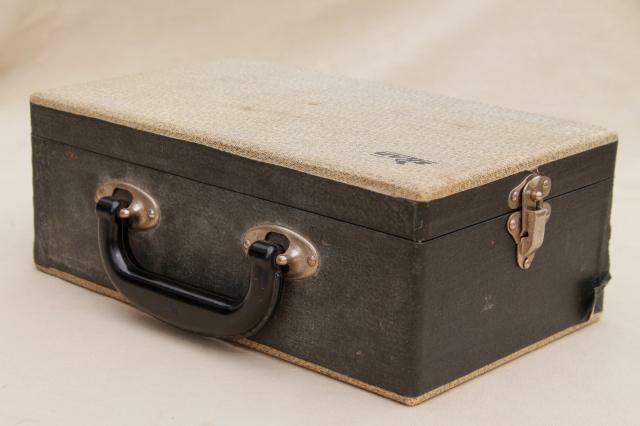 There's some wear to the case, inside and out.